We, the Chinese people, can have many shades of yellow, in other word. We speak over a hundred dialects but have only one language. Chinese people all over the world have only a hundred surnames yet these can sound different from dialect to dialect. So you want to know me and I am Chinese. Where do you begin? You may wonder. The language, the people or the food? The word Chinese, like the Chinese people themselves, can have many meanings. We, the Chinese people, can have many shades of yellow, in other word. We speak over a hundred dialects but have only one language. Chinese people all over the world have only a hundred surnames yet these can sound different from dialect to dialect. Contradictions and paradoxes, that is what we are, the 1.4 billion of us in China and the 26 million plus (no one really know the exact figure) of “overseas” Chinese found outside mainland China, dispersed all over the planet. Another interesting fact about Chinese people is that not all of us can really understand one another if we do not speak Mandarin (or another common language such as English). Now, here the drama starts. If two Chinese people from two different dialect groups, for example, Cantonese & Hokkien, speaking only their respective dialects and not in Mandarin, they will not understand each other. They are much like a German and French person trying to communicate in their respective languages. However, unlike the German and the French person, this Cantonese and Hokkien duo can understand each other if they write in Chinese characters and even then, this can be challenging if one of them write in simplified characters and the other uses the traditional form. Those who use the simplified Chinese characters are mainland Chinese usually born after the 1950s. We have many cuisines but all of use chopsticks if rice is served in a bowl. It is very rare that Chinese will use chopsticks if rice is served on a plate. There are many different Chinese cuisines varying from northern China to the south in Guangdong, Shenzen & Hong Kong. 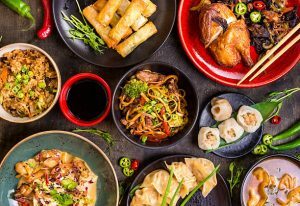 Most people out in the West, like Australians, are familiar with Cantonese cuisine such as sweet and sour pork, fried rice, etc and these dishes are often bland without chillies. In Northern China, in cities such as Xian and Chengdu for instance, this is not the case. Hot peppers are used very often in the diverse dishes, challenging our nostrils with every mouthful. Peking Duck from Beijing and san choy baofrom Hong Kong, these two dishes are as different as a Beijing man and a Cantonese man. In the same vein, note another interesting fact. 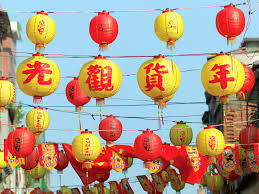 In spite of these differences all Chinese people share the same birthday.All of us turn a year older on Chinese New Year day in the lunar calendar. Another critical similarity lies in all Chinese psyche no matter what our differences and contradictions are: our unconscious culture is driven by the san jiao: three teachings. These three great teachings are Taoism, Confucianism and Buddhism. Understanding what these three teachings are and how they are connected to the Chinese psyche will enable us to manage Chinese in all social and business encounters, such as marriage and negotiations. Yes, we Chinese are full of contradictions and paradoxes. That make us challenging to know. Perhaps a workshop may help.